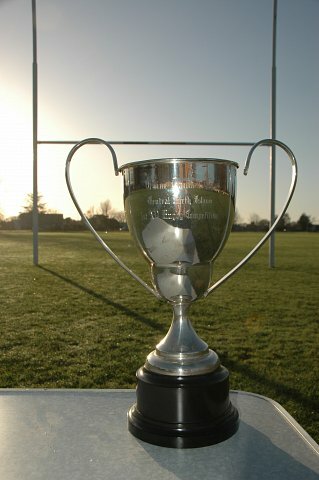 The Central North Island (CNI) 1st XV Rugby competition was established in 2012 and originally consisted of seven schools that were interested in enhancing their rugby programme. In 2013 St. Peter’s School from Cambridge joined the CNI Rugby Competition, in 2016 Wesley College become part of the CNI group, in 2017 Te Aute College joined and in 2018 St. John’s College (Hamilton). The aim of the competition is to provide 1st XV & Development XV teams from the eleven schools with a consistently high standard of challenging rugby fixtures. In its inaugural year, the Taine Randall Cup was donated by Lindisfarne College and they were the winners’ of the competition after a six-game round robin competition. In 2017 Te Aute College were initiated into the competition and after a 9-game round robin, Fielding High school and Wesley College contended a hard-fought final which was deservedly won by Wesley College (32-28). This meant a new champion after St. Paul’s Collegiate winning three years in a row. In addition to the Championship Trophy, the Rick Francis Memorial Shield is played for. The Rick Francis Memorial Shield was donated by Feilding High School in 2014. The shield is played for each time the holder is playing a CNI fixture. The development grade did not play a final but Feilding High school finished undefeated. Although the competition is still in its infancy, players from the competing schools have already been selected for their respective regional Super 15 franchise development, New Zealand Secondary Schools’ and New Zealand U20 teams. We hope that you enjoy the exploits, triumphs and disappointments of the eleven proud rugby schools that make up the CNI 1st XV & Development XV rugby competitions. The CNI Rugby Champions are awarded the Taine Randell Cup named after the All Black captain who played 61 games for the All Blacks including 51 tests with 22 as captain. As a student of Lindisfarne College in the Hawkes Bay from 1987-1991 Randell was a natural athlete who excelled as a rugby player, cricketer, athlete (still holding the junior shot put record) and student, playing 41 games for the 1st XV scoring 19 tries and captaining the team in 1991. A versatile loose forward and Number 8 he played for Otago in the National Provincial Championship at the age of 19 while completing degrees in law and commerce and then captained the Highlanders in the Super 12 and then Super 14 from 1997-2003. Randell played for almost every NZ representative team. The New Zealand Secondary Schools in 1990, NZ U/17 (‘91), NZ U/19yr (’92), NZ Colts (‘93,’94,’95), NZ Universities (‘92-‘94), NZ Maoris (‘94-‘95) and the All Blacks (1995-2002). He played 61 games for the All Blacks including 51 Test Matches with 22 as captain. He scored 12 tries totalling 60 points. He was a very young All Black playing his first game aged 20 and becoming All Black captain at just 21 years of age. He was selected as captain by new coach John Hart causing some public controversy due to his youth. Randell led the All Blacks through a challenging period following the retirement of a number of experienced players and the national team struggled in a period of rebuilding but was also involved in a number of notable test wins. The shock loss to France in the 1999 World Cup resulted in him losing the captaincy but he remained a member of the All Blacks until 2002. He also played in the UK for the Saracens Club before returning to the Hawkes Bay where he is now a prominent businessman. Randell exemplified many of the qualities of a sportsman and man that are developed in the CNI Schools. He had an excellent academic record, showed outstanding leadership, determination, resilience, courage and loyalty. Randell remains a proud New Zealander and is active in both rugby and the wider Hawkes Bay community. It is an honour for the 1st XV’s of our schools and colleges to compete for a cup carrying the name of such a player and leader.